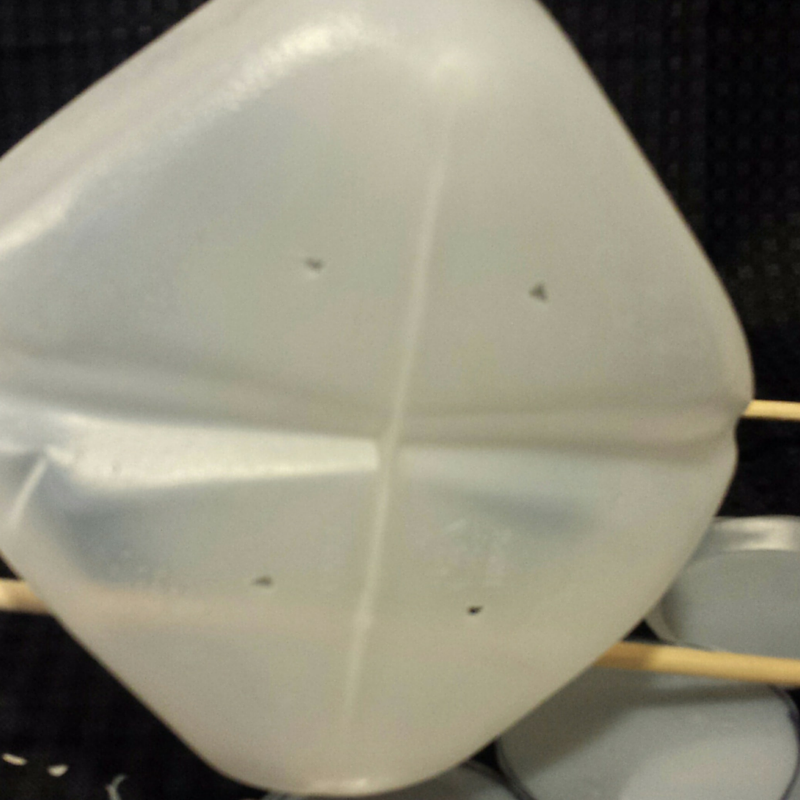 Hiland Dairy milk jugs are made from recyclable plastic so that they can be reclaimed and reborn as new milk jugs (or whatever plastic thing you can think of). 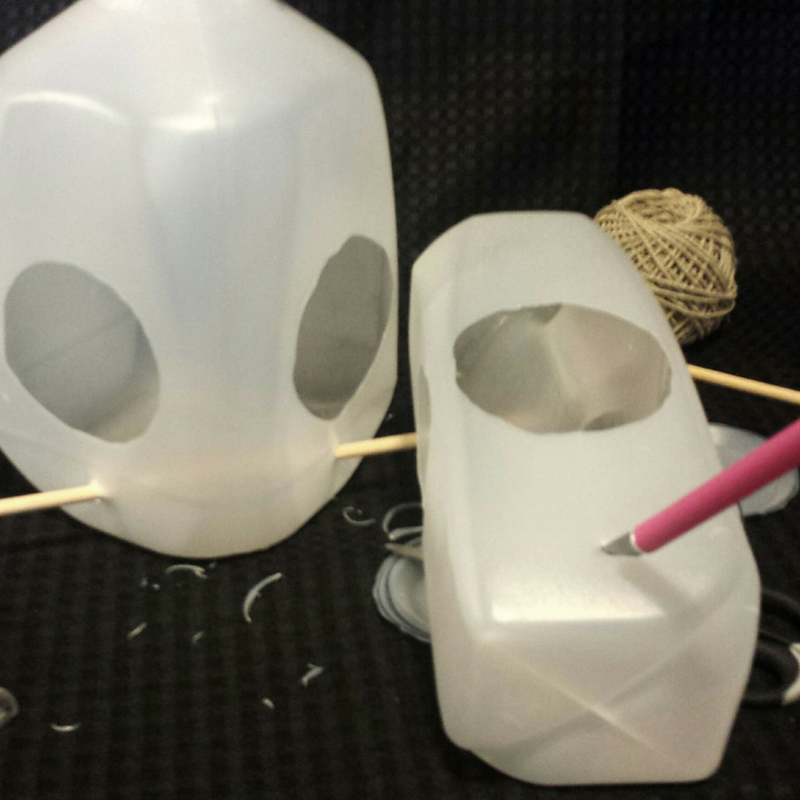 But if you’re feeling a bit creative, a Hiland Dairy milk jug can be repurposed and “upcycled” into a whole new thing. In this case, an attractive (literally) bird feeder to offer up snacks to your neighborhood’s feathered friends! And it’s super-simple to make. 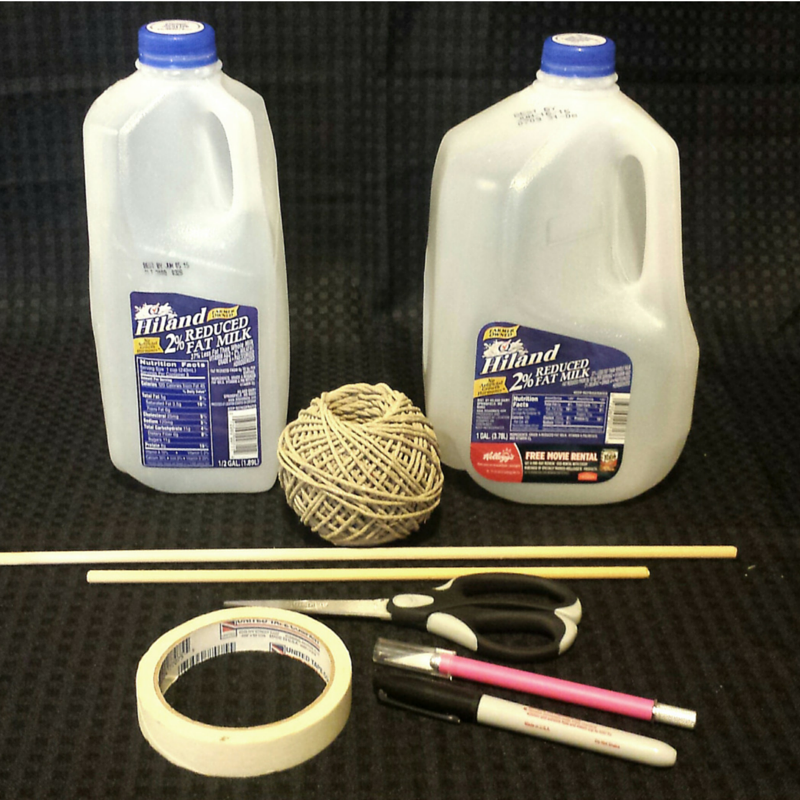 All you need is a clean gallon milk jug with the cap on, a black permanent marker, a craft knife, a pair of sharp scissors (kids – get your parents’ help! ), a wooden dowel and some strong string or wire. Oh, and don’t forget the bird seed – seed for wild birds is best. 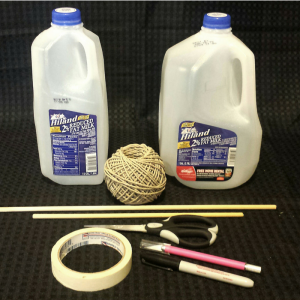 Tip: We found it was easy to use a roll of masking tape to draw out a perfectly round circle. Tip: Start cutting with your craft knife and do the bulk of the cutting with scissors. Tip: Don’t make the holes too big; you don’t want the bird seed to fall out! If you find that your drainage holes are too big for your bird seed, just put a piece of scotch tape over the holes and cut out smaller ones. 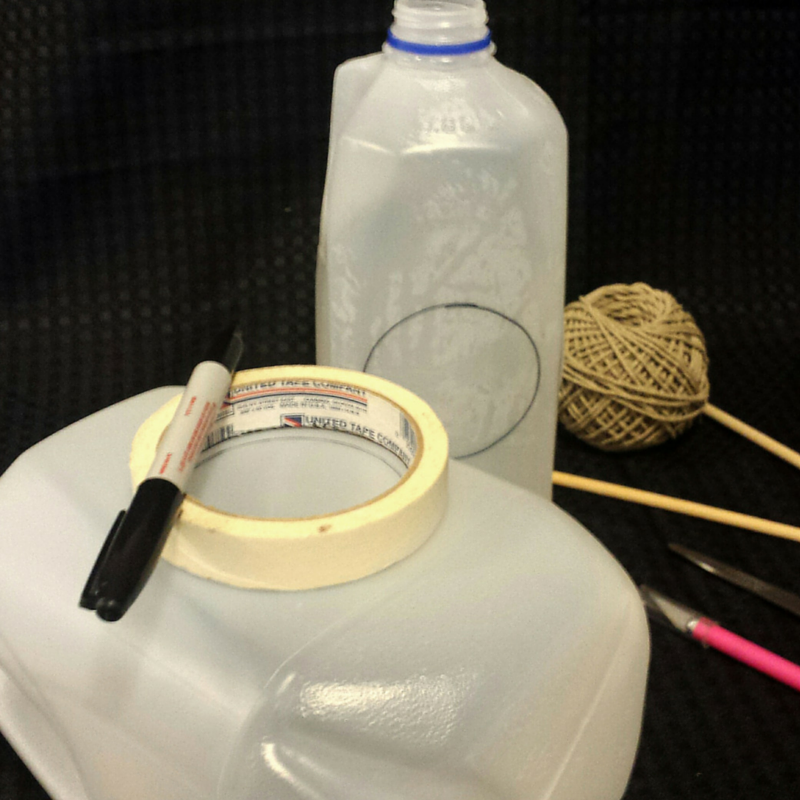 Tip: You will have more room for your string if you remove the bottom piece of plastic that was originally sealed to the lid before opening the jug for the first time. 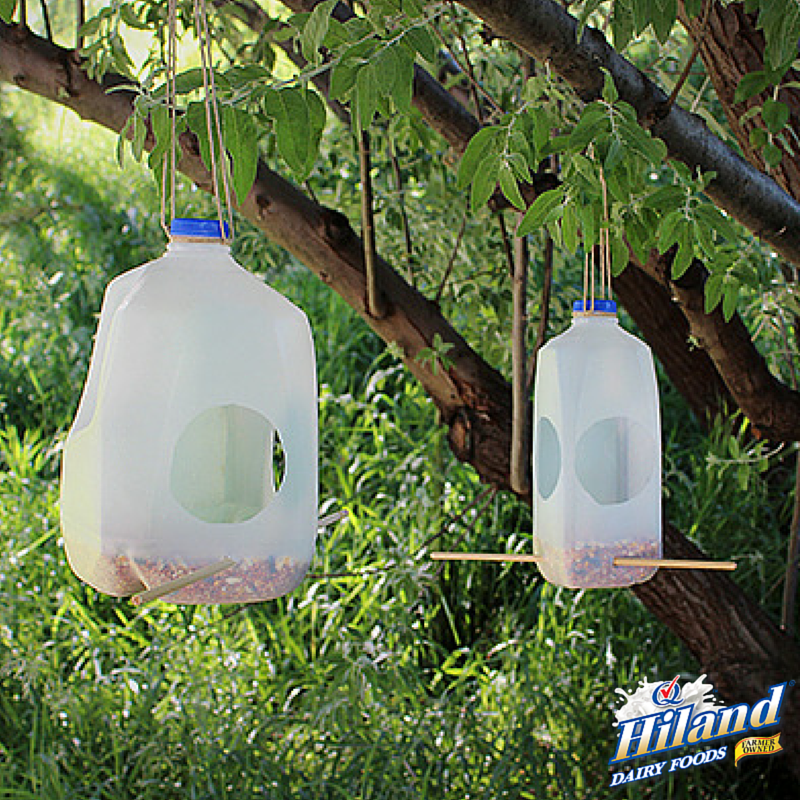 Hang from a tree branch and watch the birds swoop in for a tasty treat! Thanks to wikiHow for this fun and creative idea. And of course there’s more than one way to make a milk jug bird feeder. Check out some other kinds here, here and here! But whatever you do, have fun, be safe and make sure that you use a Hiland Dairy milk jug!